We are delighted to announce that MCG Energy Solutions has acquired Versify Solutions, effective April 12, 2019. MCG’s rapidly expanding role in the North American energy software industry is furthered by the Versify acquisition, which is MCG’s fourth major acquisition since 2017. Information sharing platform providing enterprise wide situational awareness for all. Connecting data sources such as operational historians, markets, weather and work management. Create integrated workflows, standardize reports and dashboards, create analytics and automate processes. Workflows and audit trails support safety and compliance programs and create better transparency. 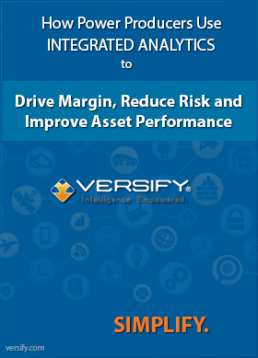 Watch how Versify’s hosted cloud-based software applications can help optimize key functions and processes for energy and utilities analytics, executive dashboards, asset performance, event logging, operator logs, generation outage management, transmission outage management, workflow business process automation, compliance and more. Visibility into the big picture of making, trading and selling electric power. Versify enables power producers and reliability coordinators to optimize key functions and processes for energy and utilities analytics and asset performance improving operational and financial performance. Only have a few assets? 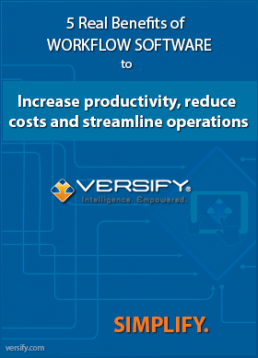 Versify’s Outage Management System Rapid Deployment and Portal Rapid Deployment are an enterprise hardened software-as-a-service cloud solutions. An economical and practical platform, Rapid Deployment is designed to meet the needs of small to medium sized IPPs, utilities or municipal energy providers who need to quickly and cost-effectively implement. Generation Outage Management software for Outage Ticketing, Planning, Scheduling and Submission including NERC GADS management. Transmission Outage Management software for Outage Ticketing, Planning, Scheduling and Submission including NERC TADS management. Automates the NERC Wind GADS reporting process to insure data accuracy and consistency. Energy and Utilities Industry Analytics, Executive Dashboards and Performance Reporting. Situational Awareness, Electronic Logbook, Digital Forms and Workflow. Digital forms, workflow automation, electronic approvals and business process improvement.